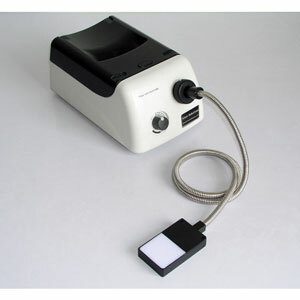 Halogen illuminator provides 150 watts of powerful, adjustable, bright white light for your microscope. Comes with a 2x2 in. active area Back Light Guide that may be used under the glass window of a Manual Stage.